GoPole is the original GoPro accessory brand, offering users versatile new ways to use their GoPro cameras. 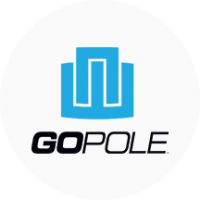 Founded in 2010, GoPole is the leading third-party GoPro accessory brand worldwide and the choice for the world’s top athletes and action sports filmmakers. GoPole products are available in over 50 countries, and can be found in Best Buy, Target, Fry’s and Amazon.